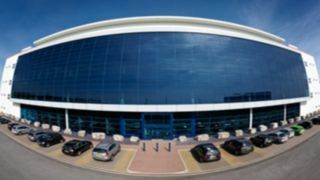 Fibre network operator Next Connex has launched a campaign to support customers using the new Next Generation Data (NGD) colocation hall near Newport in South Wales. The company, which runs a light fibre network connecting the Newport data centre with London and much of southern England, has said it will provide up to three months free connectivity between the NGD facility and other data centres. This is intended to offset connection costs and provide scope to install and test equipment prior to going live. The co-location hall was opened recently to provide UK based co-location services for housing single or multiple racks. Richard Auld, Next Connex's commercial director, said: "The new colocation hall offers extra capacity and flexibility for service providers. As a dark fibre network provider, Next Connex's Internet Access and point-to-point low latency connections make NGD a compelling co-location facility." He said the company's network can connect NGD to London Docklands in less than 1.6 milliseconds. It provides connectivity from 10Mbps to 100Gbps, including IP transit, Ethernet and MPLS networks.